Many of you I am sure will remember last year's exciting finish when Brittany Lincicome defeated Lexi Thompson in a playoff. Stacy Lewis finished 1 stroke back, a stroke better than Gerina Piller. Nelly Korda, playing in her first event as an LPGA member finished fifth. Brittany Lincicome faces the media after winning the 2017 Pure Silk Bahamas LPGA Classic. My strength of field rating is 52.5% (up from 44%) last year. 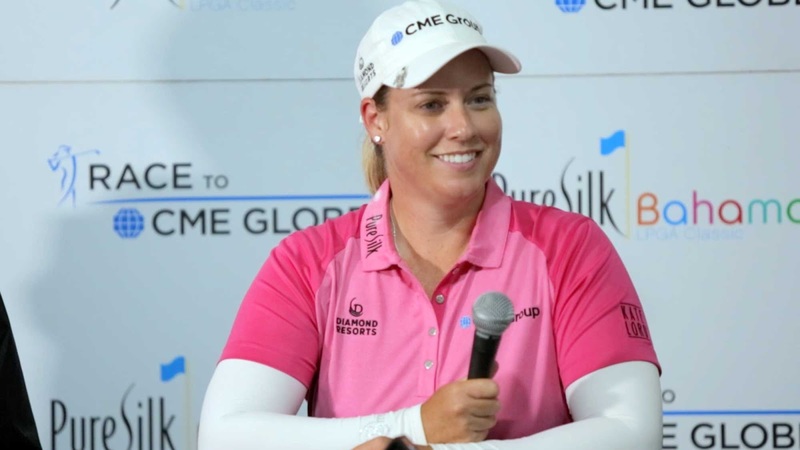 Thirty of the top fifty players from the LPGA priority list, and 12 of the top 25 players from the Rolex World Rankings will be in attendance. The field will be led by Shanshan Feng, So Yeon Ryu, and Lexi Thompson. Players skipping the event this week include: Sung Hyun Park, Cristie Kerr, Anna Nordqvist, In Gee Chun, and Lydia Ko. 1- Shanshan Feng - Hanging on to the #1 spot in the world by a thread. 2- So Yeon Ryu - Should take over the top spot with a win this week. 3- Lexi Thompson - A win should get her to the top of the Rolex Rankings for the first time in her career. 1- Brooke Henderson - Finished 7th last week playing from the men's tees. 2- Stacy Lewis - Finished 2nd, 3rd, 11th, and 2nd here the last four years. 1- Nelly Korda - Wants to jump out ahead of her sister who is taking the week off. 2- Nasa Hatoaka - Looking to put last year's disaster behind her. For full tournament recap press here.